Induction has not always been considered some intractable problem, and David Hume didn’t think he had anything important to say about it. Those are just two misconceptions about the history of induction. Socrates, Aristotle, and Cicero had one view of induction. 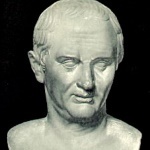 Induction (inductio in Latin, epagoge in Greek) goes back through Cicero to Aristotle, who said he got it from Socrates. 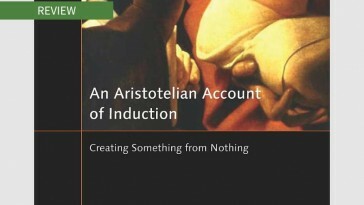 And Aristotle said that what induction is, is obvious. He said it is a progression from particulars to universal. But there is an ambiguity here. Did he mean particular and universal propositions (“this swan is white,” “that swan is white,” and then the universal “all swans are white”)? Or did he mean particular things (this white bird; that white bird) and then a universal concept (swan)? The history of induction has a been a back-and-forth between these views. 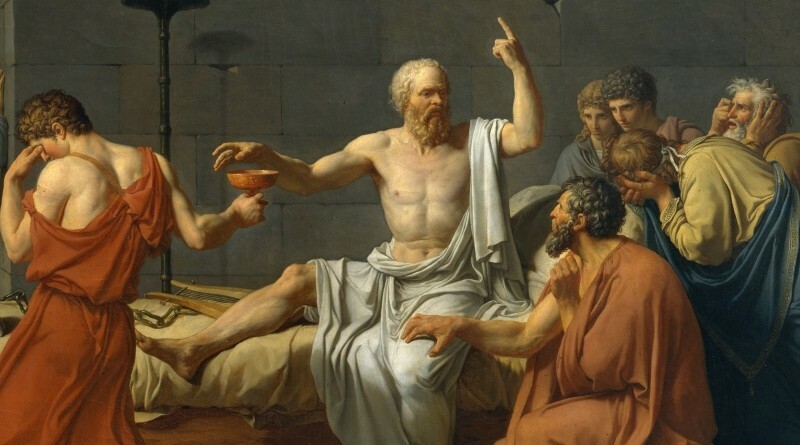 Socrates, Aristotle, Cicero, and basically everyone else in the ancient world thought induction was the second. 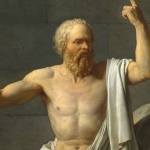 It was that thing Socrates did when he asked, for example, “What is piety?” He identified some instances and then, using an iterative process of comparing and contrasting, identified the essence, identified what made piety piety, identified what Aristotle called the formal cause—or at least Socrates tried to. He never seemed to get there, and we can’t tell for sure if he thought you could. But Aristotle thought you could. 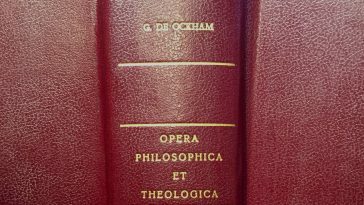 His Posterior Analytics and especially parts of his Topics were guidebooks on how to do so, how to work up from observation of particulars to conceptions of universals. Once an essential definition has been identified, universal statements become easy to make, so we can also say induction is used to form universal statements, but still the universality of the statements rests on the universality of the concepts. That is—in modern philosopher’s technical terms—the Socratic view of induction holds that in human cognition, ampliation takes place fundamentally at the conceptual, not the propositional, level. Neoplatonists at Alexandria upended the classical view and passed a new one to the Scholastics. The Socratic/Aristotelian/Ciceronian view got challenged by Neoplatonists of late antiquity. The Church Father Clement of Alexandria got things started in the second century A.D. He said, “Induction leads to the universal and the definition.” That was thoroughly conventional. But he also said that definition is a summation resulting from a complete enumeration of particulars. That was new and completely ruined the open-ended nature of concepts and of induction. 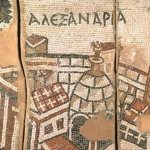 The new view was advanced by Themistius in the fourth century and then especially by Simplicius and Philoponus in the heyday of Alexandrian Neoplatonism, around 500 A.D. By this view ampliation takes place at the propositional, not the conceptual, level. As the Alexandrians saw things, the authoritative text on induction is not Aristotle’s Posterior Analytics and Topics, but chapter 23 in thePrior Analytics book II. This chapter is even nowadays taken—wrongly—to say that inductions are deductions made good by complete enumeration, that is, that inductions are arguments like this one: If something is true of equilaterial, isosceles, and scalene triangles then it is true of all triangles, since those are the only three kinds. But in fact in Posterior Analytics I 5, Aristotle stresses that such an argument does not lead to a universal; it is not a case of induction. But no one was reading the Posterior Analytics or the Topics anymore. The Neoplatonic view got passed on through the Middle Ages, in commentaries both in Arabic and Latin. It is the view found in countless Scholastic textbooks on “Aristotelian” logic. On this view, induction is a progression not from particular things and universal concepts but from particular statements to universal statements. And it is inherently untrustworthy. We say nowadays that discovery of a black swan in Australia refutes the Europeans’ hypothesis that all swans are white. The medieval parallel was that all animals open their mouths by moving the lower law. Then, alas, someone goes up the Nile and sees a crocodile. Renaissance humanists, especially Francis Bacon, revived the ancient view. Humanists in the Renaissance, starting with the Italian Lorenzo Valla (1407–1457) and the Dutchman Rudolph Agricola (1443/4–1485), challenged the Scholastic convention. They thought the Scholastics had expropriated the concept of induction, like someone who steals a horse and cuts and dyes its hair to hide the theft (as Valla put it). They proposed that induction return to the Socratic induction of Aristotle’s Topics. 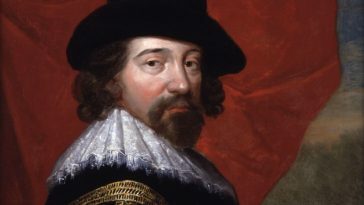 The philosopher most responsible for making Socratic mainstream was Francis Bacon. His Novum Organum book II (1626) became what Aristotle’s Topics book V was in antiquity, viz., the main handbook on how to perform a good induction, that is, on how to identify a formal cause (or “Form,” in Bacon’s term). 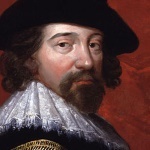 Baconian induction dominated experimental science for the next two hundred years. It was the scientific method that produced countless laws in mechanics, chemistry, electromechanics, even economics, from Hooke and Boyle to Darwin and Say. It was also the method David Hume sought to use in his Treatise of Human Nature, what he said was “an attempt to introduce the experimental method of reasoning into moral subjects.” Hume had nothing disparaging to say about what in his day was called induction. The word almost never appears in his writing. The association came later. 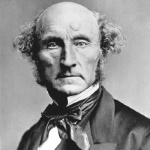 Richard Whately and John Stuart Mill revived the Scholastic view—and twisted it around by adding a uniformity principle. A professor at Oxford in the early 1800s, one Richard Whately, reversed things again. He lamented the dominance of Baconianism and proposed that induction should be thought of not as a logic of classification and abstraction but as a grammar for propositional inference. This was a return, though with a twist, to the Scholastic way of thinking about induction. John Stuart Mill completely bought into the idea, and through him it spread widely. 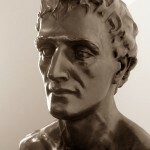 Whately, in 1831, had said Baconian induction was the “original and strict sense” of the term. In 1847, Augustus De Morgan agreed that Bacon’s conception was conventional but said it should not be. In an 1870 textbook, Mill’s disciple Alexander Bain warned his students to stay away from the old Baconian idea. “By Induction, we arrive at Propositions, . . . [It is not Induction] where what we arrive at is a Notion or Definition.” In the 1870s works of De Morgan’s student W. Stanley Jevons—a man not yet born when Whately started this revolution—the view Bain warned against had wholly and silently vanished. Socratic/Aristotelian/Humanist/Baconian induction had succumbed. The pendulum had swung. With the swing, the history got re-written. Aristotle’s Prior Analytics II 23 again became the text upon which, supposedly, the whole history of induction rested. What Hume wrote about causality got co-opted. John Maynard Keynes, in 1921, said that though Hume wrote nothing on induction, what Hume did write applied to induction nonetheless. Francis Bacon came to be considered just plain stupid. Mill, who set out to overturn the dominance of induction, came to be thought a promoter of it. 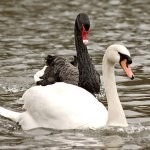 How would you know the black one refutes the theory that all swans are white without standards for classing it as a swan? The whole project of induction then became how to justify that major premise, how to be sure that what was true of some was true of all. De Morgan and Jevons cooked up schemes by which statistics could be applied to the question. But neither scheme worked. Some now like to say Kenyes or Carnap or followers of Bayes worked out the right solutions. These “solutions” rely on the claim—against Aristotle, Bacon, and William Whewell—and however self-refuting this is—that no inductive knowledge is certain. The surrender is considered a product feature rather than a bug, a brave embrace of ignorance rather than an epistemological failure. Whether a feature or a bug, the characteristic certainly is endemic. If you want to claim all swans are white, electrical resistance is always the ratio of voltage to current, or stopping exposure to Vibrio cholerae always prevent cholera, you better have some standard for knowing what is or is not a “swan,” “resistance,” “voltage,” and “cholera.” That’s what Socratic induction was meant to provide. Without it, the history of induction is stuck where it always is when the pendulum is over on this side: Induction goes about town as if its first name were “Problem of.” It can’t escape being a “scandal of philosophy,” as C. D. Broad called it. Hmm. How do we get the pendulum of history to swing back the other way? You can read about his ideas in the book Boyd:The Fighter Pilot Who Changed The Art of War. I think this is on the right track. There is no induction problem and never was. There was an ability to read problem? By induction Aristotle seems to have meant (I don’t read Greek) recognizing from several instances that a cause is at work, like as he says soldiers forming into battle reveals an underlying pattern for additional investigation. You know something’s up. This is different from probability studies, which it seems to me are a refined form of generalization and generate not knowledge but promising hypotheses. I suspect this insight was important to Aristotle as much of his work was indeed preliminary research especially into biology. He was the CEO of the first university/think tank, after all. he had people bringing him all sorts of reports and he had to separate the wheat from the chaff. BTW–The recent book ‘The Lagoon’ on him gives a lot of background here I found very helpful. I do wonder exactly what ideas made Whately and Mill’s move get such traction. But it got such traction well before the 20th c. It was well established by the 1870s. Then yes, several ideas in the 20th c. aided and abetted, the one you propose probably included. I suspect the metaphysical, instead of epistemological ones, are more important though, especially ones that got started earlier and have just become increasingly ingrained. A big one might be the move away from “things have attributes” to “things are [bundles of] attributes.” Mill relied on this and I think it’s become subtly pervasive and pernicious. I know nothing of that claim about Porphyry. Thanks for the suggestion. I don’t deny that Hume had something relevant to say about induction, ONCE induction got reconceived as it did. The question is whether any of it, including natural necessity, is important to the old conception of induction. We should not fall into the trap of taking the new conception as our reference. Hume looks like an important philosopher only if you buy into a network of really bad premises. Until those premises got accepted in the late nineteenth century, Hume was treated as a reductio ad absurdum. I think if you were to cite Hume’s Enquiry, you’d find either that he was right in his views, or that you had misunderstood them. He was not the skeptic others (usually religious dogmatists though they aren’t the only kind) accused him of being. Thanks John. Spelling out that network of bad premises is important, because that network gets in the way of seeing the point or even possibility of the ancient approach to induction and indeed a proper understanding of abstraction. One such premise is this one: “Tis an established maxim of metaphysics, That whatever the mind clearly conceives includes the idea of possible existence, or in other words, that nothing we imagine is absolutely impossible” (David Hume, A Treatise of Human Nature). Surely, the Cartesian approach to cognition is as well a large contributor to this network. 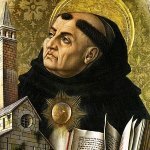 In medieval philosophy, it was common to say that God’s ability to imagine something was enough to make that something metaphysically possible. But philosophers did not grant the same power to people. Philosophers considered it their task to identify what God could imagine and what therefore was possible. The Cartesian move is remarkable. Just because I can imagine something, it becomes possible?! Cool! I am so powerful! 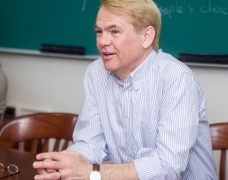 Prof. McCaskey, I’m reminded of your thoughts on analyticity. I think the basis for the “logically impossible” vs “logically possible” is the inability of one to imagine a contradiction of the “square-circle” sort. Do you have any thoughts on the Oist notion that there is no basis for differentiating that type of contradiction from, say, “a balloon filled with helium will fall to the ground when released”? Much of this turns on what constitutes imagination…. Douglas, one can see a clear relationship between “imagination” and the “hypothetical- deductive method”. We teach those with active minds the epistemology whereby they might recognize the reductio that is epistemic skepticism. How best is that to be done?? That is a difficult question. Particularly amidst the onslaught of postmoderism on education.